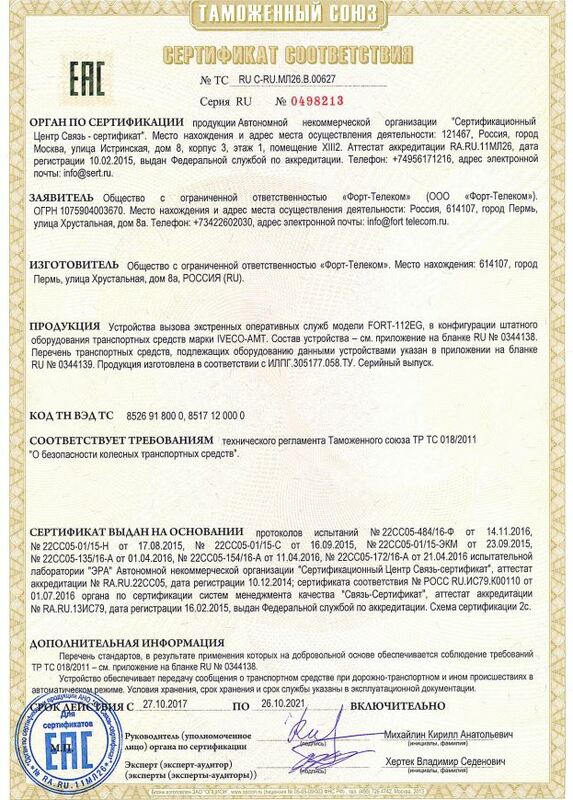 Russian emergency response system, based on European standard eCall/E112, is developed for shared use with global satellite navigation system GLONASS. The Russian eCall system ERA-GLONASS was created to reduce the response time in case of road accidents, thus saving lives and reducing the severity of injuries. 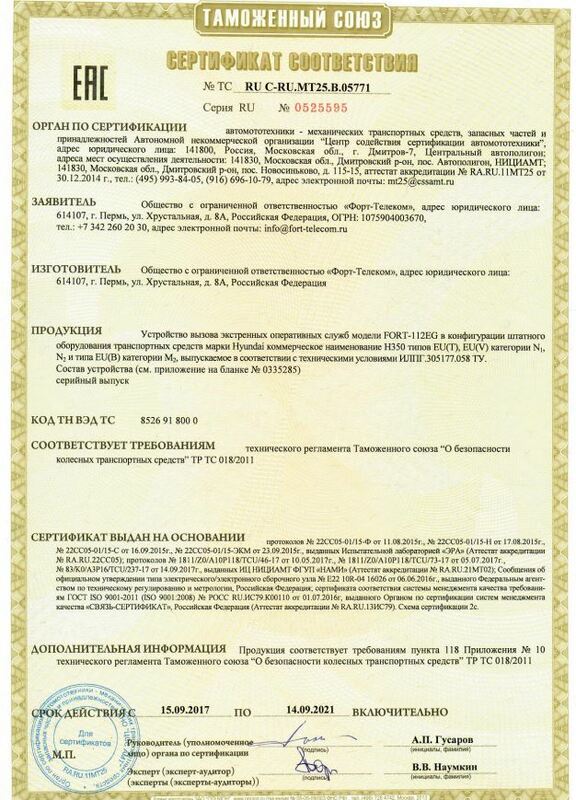 ERA-GLONASS infrastructure covers all Russian roads. Vehicles are equipped with GLONASS/GPS units. 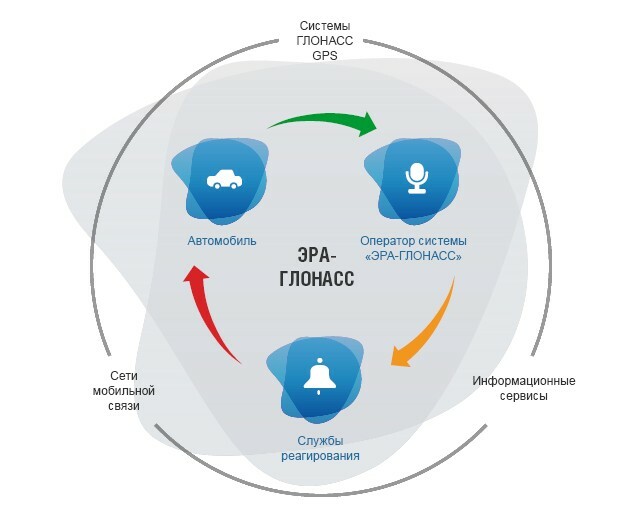 In case of a traffic accident, the unit automatically collects data concerning the location of the vehicle, accident time and severity, and automatically transmits it to ERA-GLONASS operator. Then this information is transferred to emergency response services. 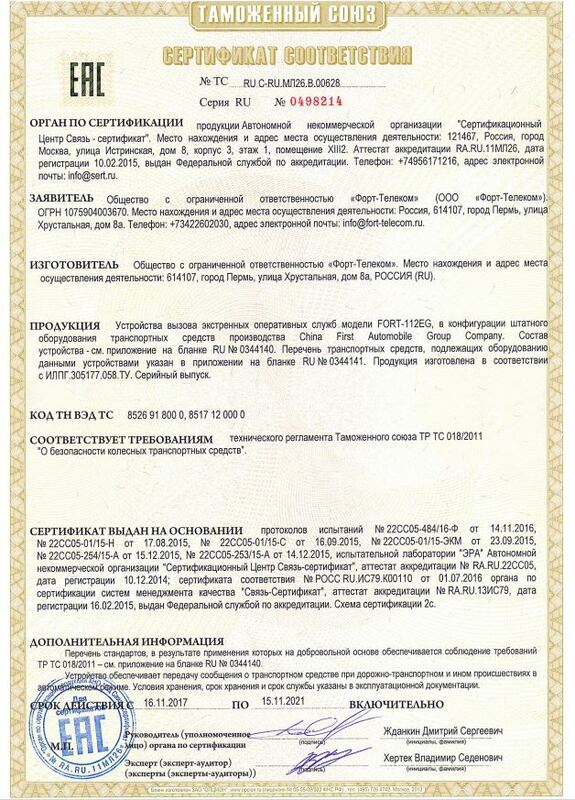 The driver and passengers can also contact ERA-GLONASS operator manually. ERA-GLONASS system is integrated with the European eCall system to ensure road safety across borders. 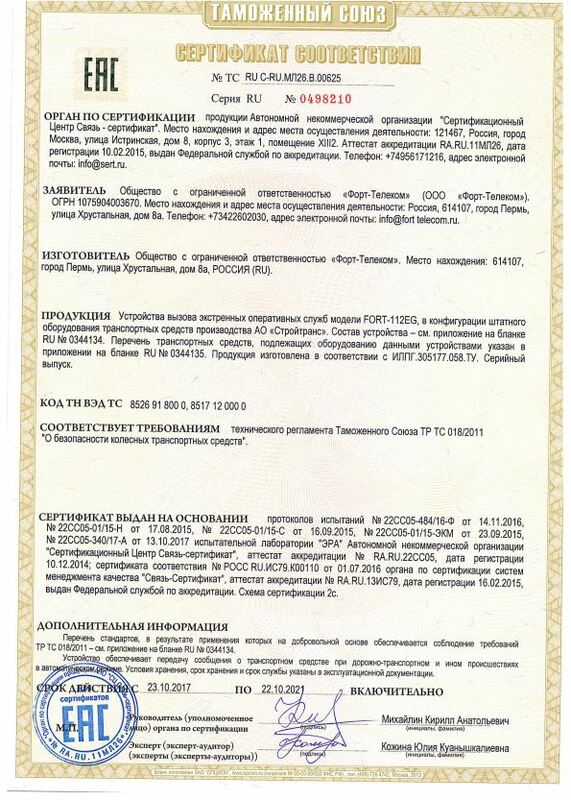 Fort Telecom has been involved in ERA-GLONASS project since 2010 as one of the leading equipment developers. We conduct regular tests and work closely with car manufacturers, helping to integrate new vehicles into the project. 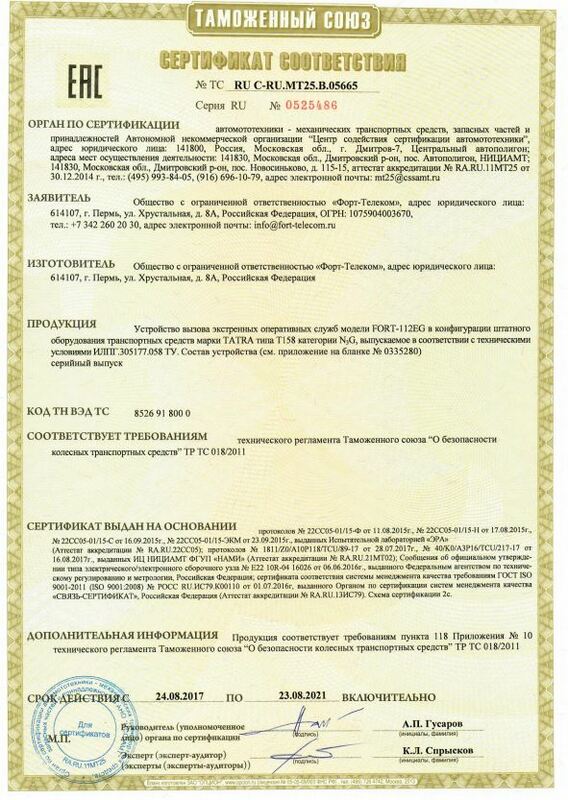 In October 2015, Fort Telecom became the first company to certify its ERA-GLONASS FORT-112 EG eCall device for standard installation in IVECO vehicles. Fort-112 EG is a standard device used by carmakers, that complies with the requirements of ERA-GLONASS, the Russian eCall system. Fort-112 EG device determines the position and direction of the vehicle, transfers data in case of emergency and provides two-way speech communication between the driver and PSAP operator. The device has extra functions of remote control, protection and management of the vehicle. The unit is supplied with a wire harness for connecting external devices, a user interface unit and a speaker. Fort Telecom supports car manufacturers at the stage of vehicle certification. We can produce a custom-tailored system based on our customer specific requirements. We can also design customer interface modules to suit the interior of a particular vehicle type. Daily technical support in English and Russian. Translation of all accompanying technical and legal documentation into English. Advice of Russian legislation and regulations. Support at the stage of new vehicle type approval. Developing custom-tailored software for car manufacturers based on ERA-GLONASS system.